The CITED3 protein is a non-DNA-binding transcriptional co-regulator involved in the regulation of various transcriptional responses against hypoxia stress. Here, we characterized two paralogs Cited3 genes (Cited3a and Cited3b) from blunt snout bream (Megalobrama amblycephala), which is a hypoxia-sensitive species. Both genes have an open reading frame of 756 and 723 bp; encoded a protein of 251 amino acid and 240 amino acid, respectively; and they shared a sequence identity of 67%. 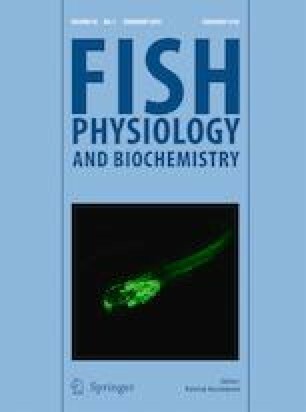 In adult fish, both Cited3a and Cited3b mRNAs were highly expressed in kidney tissues. In contrast, they were detected in the skin, muscle, and gonad at extraordinarily low levels. During embryogenesis, both Cited3a and Cited3b mRNAs were maternally deposited in eggs and fluctuated from the zygote to the 44-hpf (hours post-fertilization) larvae. Whole-mount in situ hybridization demonstrated that both Cited3a and Cited3b mRNAs were transcribed in the brain, gut, and tailbud at 12 hpf, and at the brain and gut at 24 hpf, and at the brain at 36 hpf embryos. Hypoxic treatment led to upregulated expression of the Cited3 genes during embryogenesis. Under hypoxia, both Cited3a and Cited3b genes in the kidney and brain and Cited3a genes in the liver were significantly upregulated. These results suggest that hypoxia was associated with increases in mRNA levels for both Cited3a (kidney, brain, liver) and Cited3b (kidney and liver). This work was supported by grants from the National Natural Science Foundation of China (31572220), the Key Technologies Research and Development Program of China (2012BAD26B02), and the Shanghai University Knowledge Service Platform (ZF1206).